You can watch the film on the same TV that the experts used to "colour grade" it for domestic release - so you can be sure that the colours are exactly as they should be. 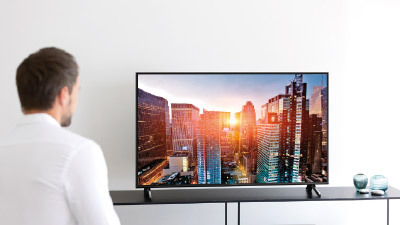 The latest advances in home entertainment technology from Panasonic mean that you can now enjoy unprecedented picture and sound quality from the comfort of your sofa. High Dynamic Range (HDR) technology lets you see pictures with more contrast and brightness. Screens with 4K Ultra HD resolution can deliver images containing four times as much detail as HD TVs than previously. At the heart of the close relationship with Panasonic has with the film industry is the Panasonic Hollywood Laboratory (PHL). Setup more than 20 years ago to forge closer ties with movie industry creatives, the PHL has worked with professionals from every part of the movie world to gain a better understanding of what goes into creating a film or high-end TV show and what the people making those shows want from a video display. This knowledge has filtered directly into Panasonic professional display and television. The brand’s latest televisions use so many of the premium technologies once reserved for professional monitors that they’re erasing the difference between the creation and playback ends of the film-making journey. 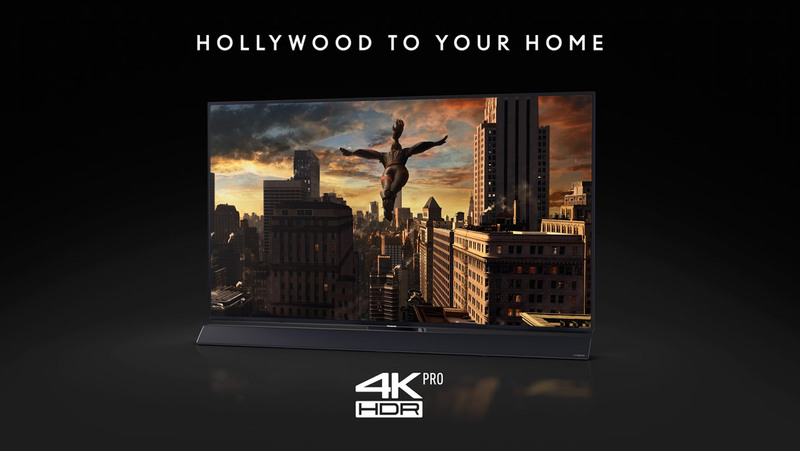 Since 2017 Panasonic has been working closely with Hollywood giant Deluxe to ensure that the technical accuracy of their award winning OLED TVs match the filmmaker’s creative intent. Panasonic OLED TVs are a common site in studios. 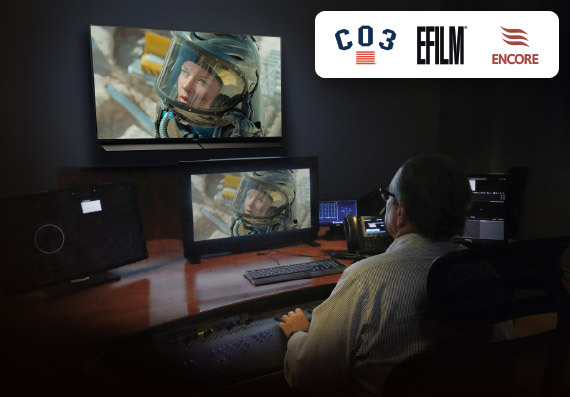 Top colourists, image scientists and engineers at Deluxe’s Company 3, EFILM and Encore post-production companies worked with Panasonic to tune and test the 4K Pro FZ952 and FZ802 OLED TVs. Deluxe now use Panasonic OLED TVs to sign-off their work with the directors and movie company execs. 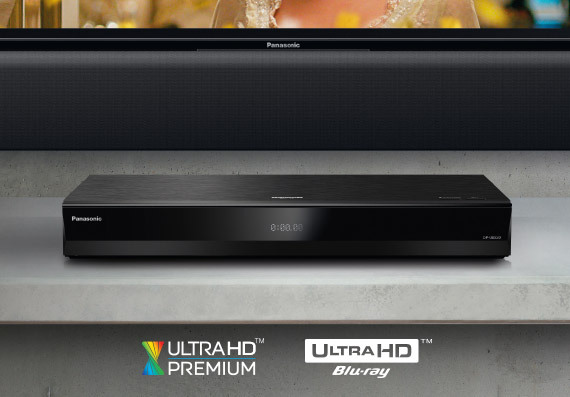 Enter a new world of picture and sound quality with Panasonic’s Ultra HD Blu-ray™ Players. To make sure you get the very best for its 4K TVs, Panasonic has a full range of high quality 4K Ultra HD Blu-ray™ players. Every player in the range features the same core Ultra HD Premium certified picture quality engine that earned the flagship acclaimed DMP-UB900 rave reviews on release. The new generation of Ultra HD Blu-ray™ disc media doesn’t just give you the resolution you need to unlock the full power of your 4K TV, it also uses High Dynamic Range (HDR) to present pictures that have a greater brightness range, more contrast and a wider colour response. This means that images look much more like they would have done in a cinema and much more accurate to the director’s original intention. If you are considering a new 4K Ultra HD TV you’ll want to make sure that it can deliver the best possible picture. With these players you will see previously hidden details in dark scenes and subtle shades in metal objects. They play and upscale your existing Blu-ray™ and DVD collections but they really come alive when you put an Ultra HD Blu-ray™ disc in, then you get a picture better that any other source as it’s less compressed that streamed content and not dependent on a stable fast broadband connection. Some Panasonic TVs like the flagship FZ952 Series already come with impressive off-board speakers that really add to the cinematic experience by drawing you in to the film. 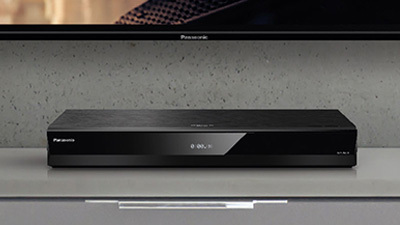 However, for other models, if you really immerse yourself in the film’s soundtrack you should consider a Soundbar. Some come with a sub-woofer that adds deep bass to the experience, bringing action movies to life. 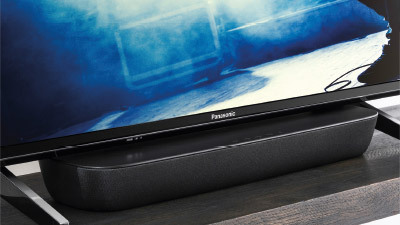 Panasonic's new compact soundbars fit perfectly between the feet of Panasonic's new FX700 & 600 Series TVs - taking up less space, but still giving a powerful performance.